Once again research finds that endocrine disruptors are associated with health effects - this time with earlier puberty in girls. Endocrine disruptors are chemicals that interfere with the body's endocrine (or hormone) systems and can produce all sorts of negative health effects, including all sorts of reproductive problems in both males and females. Phthalates, parabens, and phenols (all used in common everyday products) are examples of endocrine disruptors. 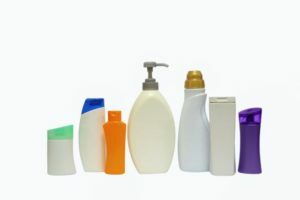 The researchers asked the question: Is a baby's exposure before birth or exposure around the time of puberty (peripuberty) to phthalates, parabens, and phenols (which are found in personal care products) associated with the timing of when he or she starts puberty? In other words, does the mother's exposure to these chemicals during pregnancy have an effect on the fetus, which then has an effect years later on the child's puberty? And how about peripubertal exposure? The answer is a strong YES for girls, and minimal effect on boys (but boys did have earlier genital development with propyl paraben exposure). What is scary is that almost all women (and men) are exposed to these chemicals - which can be measured in the urine. Studies find these chemicals in over 96% of American women. What to do? One can't totally escape these chemicals, but one can really minimize exposure by reading labels and avoiding personal care products that list phthalates, parabens, phenols, as well as Triclosan (found in some anti-bacterial soaps). Avoid products that include "fragrances" or "scents" (those have a multitude of chemicals in them, including endocrine disruptors). Avoid air fresheners, dryer sheets, scented candles, room deodorizers, essential oils (lavender, tea tree oil). Buy "unscented" or "fragrance free" products. Chemicals that are widely used in personal care and household products are linked to girls entering puberty at earlier ages, according to findings from a long-running study of mothers and children published today. The study in Human Reproduction, one of the world's leading reproductive medicine journals, found that chemicals such as phthalates, parabens and phenols were all associated with earlier puberty in girls, although there was no similar association observed in boys. ...continue reading "Personal Care Products and Puberty"
What’s In Your Household Dust? Author SimaPublished on September 15, 2016 March 28, 2018 Leave a comment on What’s In Your Household Dust? Household dust exposes people to a wide range of toxic chemicals from everyday products, according to a study led by researchers at Milken Institute School of Public Health at the George Washington University. The multi-institutional team conducted a first-of-a-kind meta-analysis, compiling data from dust samples collected throughout the United States to identify the top ten toxic chemicals commonly found in dust. They found that DEHP, a chemical belonging to a hazardous class called phthalates, was number one on that list. In addition, the researchers found that phthalates overall were found at the highest levels in dust followed by phenols and flame retardant chemicals....."The findings suggest that people, and especially children, are exposed on a daily basis to multiple chemicals in dust that are linked to serious health problems." 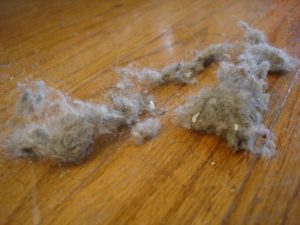 ...continue reading "What’s In Your Household Dust?" Published on September 15, 2016 March 28, 2018 Categories cancer, children, endocrine disruptors, flame retardants, healthy living, UncategorizedTags fragrances, highy fluorinated chemicals (HFCs), household dust, phenols, phthalatesLeave a comment on What’s In Your Household Dust?